There are a great many wonderful things about living in Austin: queso, the easy access to parks and springs, the barbecue, and did I mention the queso? Above all else, though, the reason to cool your heels in the summer heat of Austin is to take in the staggering amount of live music lurking around every corner. With that in mind, we’ve put together a wall-to-wall calendar of outdoor concerts to help you keep the rhythm going all summer long -- just do us all a favor and don’t forget the sunscreen, OK? The Suffers Ten-piece Gulf Coast soul group from Houston. The Suffers The Mohawk Ten-piece Gulf Coast soul group from Houston. Lions and Tigers Kicking off their tour with Southpaw Sonata tour kickoff. Lions and Tigers Sidewinder Kicking off their tour with Southpaw Sonata tour kickoff. Florida Georgia Line w/ Nelly Beer, bros, and big ol’ trucks. Oh, and Nelly. Florida Georgia Line w/ Nelly Austin360 Amphitheatre Beer, bros, and big ol’ trucks. Oh, and Nelly. Scorpio Rising This Liverpudlian group won the 2016 Austin Music Award for EDM/dance. Scorpio Rising Sidewinder This Liverpudlian group won the 2016 Austin Music Award for EDM/dance. Hurray for the Riff Raff Bronx-native Alynda Segarra channels the sound of New Orleans folk. Hurray for the Riff Raff The Mohawk Bronx-native Alynda Segarra channels the sound of New Orleans folk. At The Drive In American punk prog-rock returns for a show with Le Butcherettes. At The Drive In Stubb’s Waller Creek Amphitheatre American punk prog-rock returns for a show with Le Butcherettes. Old 97’s and Shooter Jennings ‘90s alt rock meets rebel country (and the son of a country music legend). Old 97’s and Shooter Jennings Stubb’s Waller Creek Amphitheatre ‘90s alt rock meets rebel country (and the son of a country music legend). Com Truise + Clark Solo synthwave act from New York. Com Truise + Clark The Mohawk Solo synthwave act from New York. Muse w/ Thirty Second To Mars Radio-rock darlings backed by Jared Leto and friends. Muse w/ Thirty Second To Mars Austin360 Amphitheatre Radio-rock darlings backed by Jared Leto and friends. Miike Snow w/ Klangstof Indie-pop straight from Sweden. Miike Snow w/ Klangstof Stubb’s Waller Creek Amphitheatre Indie-pop straight from Sweden. Tripping Daisy Psychedelic pop-rock from this Dallas-born, Polyphonic Spree-adjacent act. Tripping Daisy The Mohawk Psychedelic pop-rock from this Dallas-born, Polyphonic Spree-adjacent act. 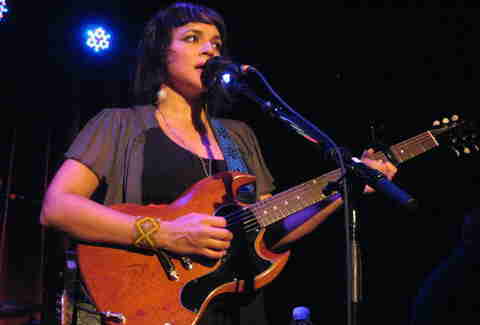 Norah Jones “Don’t Know Why” you aren’t getting tickets. Norah Jones Stubb’s Waller Creek Amphitheatre “Don’t Know Why” you aren’t getting tickets. Blues on the Green 2017 The Austin free concert series returns for its 26th consecutive year. Blues on the Green 2017 Zilker Park The Austin free concert series returns for its 26th consecutive year. Chicago w/ The Doobie Brothers Your parents’ favorite bands, still alive and kicking. Chicago w/ The Doobie Brothers Austin360 Amphitheatre Your parents’ favorite bands, still alive and kicking. The Homewreckers Austin locals; not the Michelle Branch version. The Homewreckers Sidewinder Austin locals; not the Michelle Branch version. Dispatch One of the perennial '90s college rock bands brings their folk sound to Austin. Dispatch Stubb’s Waller Creek Amphitheatre One of the perennial '90s college rock bands brings their folk sound to Austin. Nobody Safe Tour w/ Future, Young Thug Expect racks on racks on racks. Nobody Safe Tour w/ Future, Young Thug Austin360 Amphitheatre Expect racks on racks on racks. Keep Austin Weird Fest & 5K A five-piece indie rock band from Indiana, and a psychobilly group from California. Keep Austin Weird Fest & 5K Downtown Austin A five-piece indie rock band from Indiana, and a psychobilly group from California. Deftones, Rise Against, Thrice The soundtrack to every snowboarding video game ever, live in concert. Deftones, Rise Against, Thrice Austin360 Amphitheatre The soundtrack to every snowboarding video game ever, live in concert. 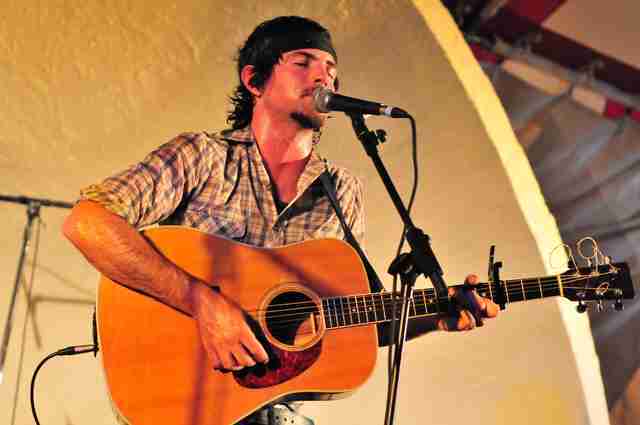 Ryan Bingham w/ Steve Earle and Jamestown Revival Acclaimed Americana country backed by the man from Copperhead Road. Ryan Bingham w/ Steve Earle and Jamestown Revival Whitewater Amphitheatre Acclaimed Americana country backed by the man from Copperhead Road. Bush Gavin and Gwen, minus Gwen. Bush Stubb’s Waller Creek Amphitheatre Gavin and Gwen, minus Gwen. 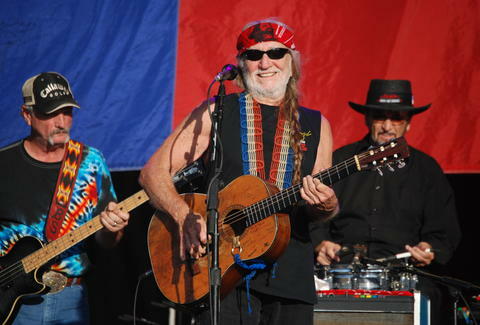 Willie Nelson’s 4th of July Picnic A holiday celebration with Shotgun Willie. 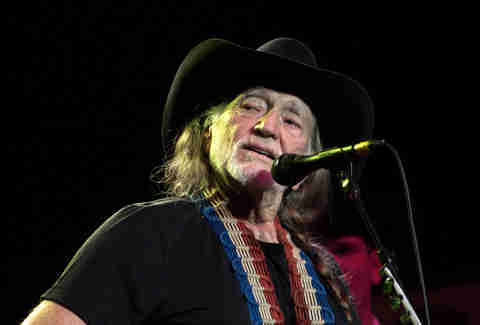 Willie Nelson’s 4th of July Picnic Austin360 Amphitheatre A holiday celebration with Shotgun Willie. RTX 2017: Phantogram Rooster Teeth’s yearly fan gathering, paired with moody electro-pop. RTX 2017: Phantogram Stubb’s Waller Creek Amphitheatre Rooster Teeth’s yearly fan gathering, paired with moody electro-pop. The Putz, Capitalist Kids Pop-punk all the way from Indianapolis. The Putz, Capitalist Kids The Sidewinder Pop-punk all the way from Indianapolis. Blues on the Green 2017 In case you missed the first two, there’s still time to catch KGSR’s free concert series in Zilker. Blues on the Green 2017 Zilker Park In case you missed the first two, there’s still time to catch KGSR’s free concert series in Zilker. Mt. Eddy American rock with a surf-punk influence, with a new album releasing in June. Mt. Eddy Sidewinder American rock with a surf-punk influence, with a new album releasing in June. Glassing Three-piece Austin natives with a rock-based influence. Glassing The Sidewinder Three-piece Austin natives with a rock-based influence. The Cave Singers Folk-indie formed from the ashes of Pretty Girls Make Graves. The Cave Singers Sidewinder Folk-indie formed from the ashes of Pretty Girls Make Graves. Whiskey Shivers Album release event. Whiskey Shivers The Mohawk Album release event. The Randy Rogers Band Classic country with an Austin spin. The Randy Rogers Band Nutty Brown Cafe & Amphitheatre Classic country with an Austin spin. Blues on the Green 2017 Seriously, this is now your final chance to hit the free concert in Zilker this summer. Blues on the Green 2017 Zilker Park Seriously, this is now your final chance to hit the free concert in Zilker this summer. Miranda Lambert The new Queen of Country returns to town. Miranda Lambert Whitewater Amphitheatre The new Queen of Country returns to town. Incubus w/ Jimmy Eat World These band’s success is no “Anna-Molly.” Get it? Because Incubus did that one song… Forget it. Incubus w/ Jimmy Eat World Austin360 Amphitheater These band’s success is no “Anna-Molly.” Get it? Because Incubus did that one song… Forget it. Waxahatchee Indie stylings from singer-songwriter Katie Crutchfield. Waxahatchee The Mohawk Indie stylings from singer-songwriter Katie Crutchfield. 311 You know all the words to the “Down” rap, right? No? Whatever, it doesn’t matter. New Politics is playing as well. 311 Whitewater Amphitheater You know all the words to the “Down” rap, right? No? Whatever, it doesn’t matter. New Politics is playing as well. Laetitia Sadier Solo act from the former lead singer of Stereolab. Laetitia Sadier The Mohawk Solo act from the former lead singer of Stereolab. The Avett Brothers Renowned American folk-rock duo stop by Austin on their national tour. The Avett Brothers Whitewater Amphitheatre Renowned American folk-rock duo stop by Austin on their national tour. 13th Annual Bat Fest Live music, food, and bats. Lots of bats. 13th Annual Bat Fest Congress Ave. Bridge Live music, food, and bats. Lots of bats. Foreigner and Cheap Trick Be a juke box hero; get tickets now. Foreigner and Cheap Trick Austin360 Amphitheatre Be a juke box hero; get tickets now. Will Harrison is a writer and reporter in Austin, Texas. Follow him on Twitter @DoubleUHarrison.